Climate change puts islands around the world at risk. These are some of the island species most at risk due to climate change. Climate change is one of many factors contributing to rapid declines of wildlife around the world. On islands, the effects of climate change are especially pronounced. 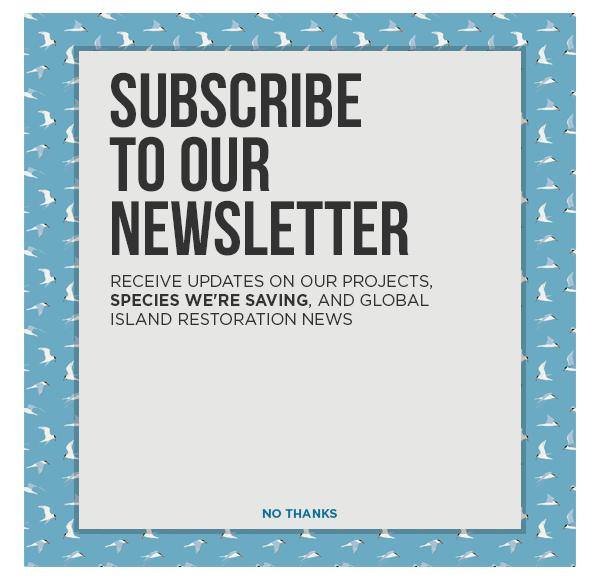 Island wildlife facing the threats of invasive species, habitat loss, and climate change have been suffering and will continue to suffer losses as these problems progress. Researchers are beginning to better understand how those compounded changes will affect native species. Read on to learn about some of the most at-risk species confronting climate change and other threats. Hawai’i’s iconic Honeycreepers face threats from invasive species, growing human populations, and diseases. All of these threats are enhanced by the effects of climate change. Hawaiian Honeycreepers live in mountainous forest habitats where mosquitoes cannot survive. However, as climate change progresses and the islands warm, the range of non-native mosquito populations in Hawaii expands. This leads to increased cases of avian malaria and avian pox in the species. A study published last year revealed that warming since the 1990’s has doubled the instance of avian malaria in higher altitudes of Kauai. Mosquitoes are not the only problem that Honeycreepers face, as climate change assists in the spread of non-native competitors and plants which alter the ecosystem. Eden Paxton of the US Geological Survey’s Pacific Island Ecosystem Research Center believes that without conservation efforts the ‘Akikiki and the ‘Akeke’e Honeycreepers will go extinct in the next decade. In the case of the Baird’s Sandpiper (Calidris bairdii), climate change is the number one threat to the species. Although they are listed as Least Concern according to the IUCN Red List, the future does not look bright if climate change goes unchecked. Like many species, Baird’s Sandpipers use environmental and climatic clues for a number of biological processes. Climate change will challenge their ability to rapidly adapt to pressures, such as seasonality of food supply. The Baird’s Sandpiper has been shown to have difficulty with this already since chicks are emerging earlier in the season before their food supply is at peak abundance. If this continues, chicks will be less likely to survive. The Bramble Cay Melomys (Melomys rubicola) is an example of a species that has already been eliminated by climate change. The small mammal lived on Bramble Cay, Australia, an island that rises only 3 meters above sea level. Although there used to be at least several hundred Melomys on the island, sea level rise reduced the land area from 4 hectares to 2.5 hectares. The last sighting of a Melomys occurred in 2009. Scientists have not been able to find a trace of the species since. It is believed to have gone Extinct. Loggerhead and Hawksbill Sea Turtles are facing serious climate-related issues including changing currents, disturbances to food webs, and decreased nesting habitat. However, these are not the only effects that rising temperatures will have; research has shown that, like many reptiles, the temperature of incubation can influence the gender of the offspring. In the case of sea turtles, hotter sand will lead to more females being born. In the short term this could be beneficial, but in the long term this will end up creating dramatic imbalances within the populations. With the exception of the Bramble Cay Melomys, these species, along with countless others, have hope to rebound from population declines. Conservation measures are underway to protect them and hopefully mitigate the effects of our warming climate. However, if anthropogenic climate change continues at the rate it has been, there will eventually be irreversible losses to species around the world, with island wildlife at extremely high risk. Working to preserve biodiversity now can prevent extinctions and lead to more stable and climate-resilient ecosystems in the future. Read more about how species are being affected by climate change at The Guardian.